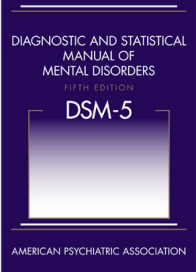 Following is the full description of Autism Spectrum Disorder (ASD) from the Diagnostic and Statistical Manual of Mental Disorder, 5th edition (DSM-5). For autism spectrum disorder that is associated with a known medical or genetic condition or environmental factor, or with another neurodevelopmental, mental, or behavioral disorder, record autism spectrum disorder associated with (name of condition, disorder, or factor) (e.g., autism spectrum disorder associated with Rett syndrome). Severity should be recorded as level of support needed for each of the two psychopathological domains in Table 2 (e.g., "requiring very substantial support for deficits in social communication and requiring substantial support for restricted, repetitive behaviors"). Specification of "with accompanying intellectual impairment" or "without accompanying intellectual impairment" should be recorded next. Language impairment specification should be recorded thereafter. If there is accompanying language impairment, the current level of verbal functioning should be recorded (e.g., "with accompanying language impairment no intelligible speech" or "with accompanying language impairment-phrase speech"). If catatonia is present, record separately "catatonia associated with autism spectrum disorder." The severity specifiers (see Table 2) may be used to describe succinctly the current symptomatology (which might fall below level 1), with the recognition that severity may vary by context and fluctuate over time. Severity of social communication difficulties and restricted, repetitive behaviors should be separately rated. The descriptive severity categories should not be used to determine eligibility for and provision of services; these can only be developed at an individual level and through discussion of personal priorities and targets. Regarding the specifier "with or without accompanying intellectual impairment," understanding the (often uneven) intellectual profile of a child or adult with autism spectrum disorder is necessary for interpreting diagnostic features. Separate estimates of verbal and nonverbal skills are necessary (e.g., using untimed nonverbal tests to assess potential strengths in individuals with limited language). Level 3 "Requiring very substantial support" Severe deficits in verbal and nonverbal social communication skills cause severe impairments in functioning, very limited initiation of social interactions, and minimal response to social overtures from others. For example, a person with few words of intelligible speech who rarely initiates interaction and, when he or she does, makes unusual approaches to meet needs only and responds to only very direct social approaches. Inflexibility of behavior, extreme difficulty coping with change, or other restricted/repetitive behaviors markedly interfere with functioning in all spheres. Great distress/ difficulty changing focus or action. Level 2 "Requiring substantial support" Marked deficits in verbal and nonverbal social communication skills; social impairments apparent even with supports in place; limited initiation of social interactions; and reduced or abnormal responses to social overtures from others. For example, a person who speaks simple sentences, whose interaction is limited to narrow special interests, and who has markedly odd nonverbal communication. Inflexibility of behavior, difficulty coping with change, or other restricted/repetitive behaviors appear frequently enough to be obvious to the casual observer and interfere with functioning in a variety of contexts. Distress and/ or difficulty changing focus or action. Level 1 "Requiring support" Without supports in place, deficits in social communication cause noticeable impairments. Difficulty initiating social interactions, and clear examples of atypical or unsuccessful responses to social overtures of others. May appear to have decreased interest in social interactions. For example, a person who is able to speak in full sentences and engages in communication but whose to-andfro conversation with others fails, and whose attempts to make friends are odd and typically unsuccessful. Inflexibility of behavior causes significant interference with functioning in one or more contexts. Difficulty switching between activities. Problems of organization and planning hamper independence. To use the specifier "with or without accompanying language impairment," the current level of verbal functioning should be assessed and described. Examples of the specific descriptions for "with accompanying language impairment" might include no intelligible speech (nonverbal), single words only, or phrase speech. Language level in individuals "without accompanying language impairment" might be further described by speaks in full sentences or has fluent speech. Since receptive language may lag behind expressive language development in autism spectrum disorder, receptive and expressive language skills should be considered separately. The specifier "associated with a known medical or genetic condition or environmental factor" should be used when the individual has a known genetic disorder (e.g., Rett syndrome, Fragile X syndrome, Down syndrome), a medical disorder (e.g. epilepsy), or a history of environmental exposure (e.g., valproate, fetal alcohol syndrome, very low birth weight). Additional neurodevelopmental, mental or behavioral conditions should also be noted (e.g., attentiondeficit/hyperactivity disorder; developmental coordination disorder; disruptive behavior, impulse-control, or conduct disorders; anxiety, depressive, or bipolar disorders; tics or Tourette's disorder; self-injury; feeding, elimination, or sleep disorders). The essential features of autism spectrum disorder are persistent impairment in reciprocal social communication and social interaction (Criterion A), and restricted, repetitive patterns of behavior, interests, or activities (Criterion B). These symptoms are present from early childhood and limit or impair everyday functioning (Criteria C and D). The stage at which functional impairment becomes obvious will vary according to characteristics of the individual and his or her environment. Core diagnostic features are evident in the developmental period, but intervention, compensation, and current supports may mask difficulties in at least some contexts. Manifestations of the disorder also vary greatly depending on the severity of the autistic condition, developmental level, and chronological age; hence, the term spectrum. Autism spectrum disorder encompasses disorders previously referred to as early infantile autism, childhood autism, Kanner's autism, high-functioning autism, atypical autism, pervasive developmental disorder not otherwise specified, childhood disintegrative disorder, and Asperger's disorder. The impairments in communication and social interaction specified in Criterion A are pervasive and sustained. Diagnoses are most valid and reliable when based on multiple sources of information, including clinician’s observations, caregiver history, and, when possible, self-report. Verbal and nonverbal deficits in social communication have varying manifestations, depending on the individual's age, intellectual level, and language ability, as well as other factors such as treatment history and current support. Many individuals have language deficits, ranging from complete lack of speech through language delays, poor comprehension of speech, echoed speech, or stilted and overly literal language. Even when formal language skills (e.g., vocabulary, grammar) are intact, the use of language for reciprocal social communication is impaired in autism spectrum disorder. Deficits in social-emotional reciprocity (i.e., the ability to engage with others and share thoughts and feelings) are clearly evident in young children with the disorder, who may show little or no initiation of social interaction and no sharing of emotions, along with reduced or absent imitation of others’ behavior. What language exists is often one-sided, lacking in social reciprocity, and used to request or label rather than to comment, share feelings, or converse. In adults without intellectual disabilities or language delays, deficits in social-emotional reciprocity may be most apparent in difficulties processing and responding to complex social cues (e.g., when and how to join a conversation, what not to say). Adults who have developed compensation strategies for some social challenges still struggle in novel or unsupported situations and suffer from the effort and anxiety of consciously calculating what is socially intuitive for most individuals. Deficits in nonverbal communicative behaviors used for social interaction are manifested by absent, reduced, or atypical use of eye contact (relative to cultural norms), gestures, facial expressions, body orientation, or speech intonation. An early feature of autism spectrum disorder is impaired joint attention as manifested by a lack of pointing, showing, or bringing objects to share interest with others, or failure to follow someone’s pointing or eye gaze. Individuals may learn a few functional gestures, but their repertoire is smaller than that of others, and they often fail to use expressive gestures spontaneously in communication. Among adults with fluent language, the difficulty in coordinating nonverbal communication with speech may give the impression of odd, wooden, or exaggerated “body language” during interactions. Impairment may be relatively subtle within individual modes (e.g., someone may have relatively good eye contact when speaking) but noticeable in poor integration of eye contact, gesture, body posture, prosody, and facial expression for social communication. Deficits in developing, maintaining, and understanding relationships should be judged against norms for age, gender, and culture. There may be absent, reduced, or atypical social interest, manifested by rejection of others, passivity, or inappropriate approaches that seem aggressive or disruptive. These difficulties are particularly evident in young children, in whom there is often a lack of shared social play and imagination (e.g., age-appropriate flexible pretend play) and, later, insistence on playing by very fixed rules. Older individuals may struggle to understand what behavior is considered appropriate in one situation but not another (e.g., casual behavior during a job interview), or the different ways that language may be used to communicate (e.g., irony, white lies). There may be an apparent preference for solitary activities or for interacting with much younger or older people. Frequently, there is a desire to establish friendships without a complete or realistic idea of what friendship entails (e.g., one-sided friendships or friendships based solely on shared special interests). Relationships with siblings, co-workers, and caregivers are also important to consider (in terms of reciprocity). Autism spectrum disorder is also defined by restricted, repetitive patterns of behavior, interests, or activities (as specified in Criterion B), which show a range of manifestations according to age and ability, intervention, and current supports. Stereotyped or repetitive behaviors include simple motor stereotypies (e.g., hand flapping, finger flicking), repetitive use of objects (e.g., spinning coins, lining up toys), and repetitive speech (e.g., echolalia, the delayed or immediate parroting of heard words; use of “you” when referring to self; stereotyped use of words, phrases, or prosodic patterns). Excessive adherence to routines and restricted patterns of behavior may be manifest in resistance to change (e.g., distress at apparently small changes, such as in packaging of a favorite food; insistence on adherence to rules; rigidity of thinking) or ritualized patterns of verbal or nonverbal behavior (e.g., repetitive questioning, pacing a perimeter). Highly restricted, fixated interests in autism spectrum disorder tend to be abnormal in intensity or focus (e.g., a toddler strongly attached to a pan; a child preoccupied with vacuum cleaners; an adult spending hours writing out timetables). Some fascinations and routines may relate to apparent hyper- or hyporeactivity to sensory input, manifested through extreme responses to specific sounds or textures, excessive smelling or touching of objects, fascination with lights or spinning objects, and sometimes apparent indifference to pain, heat, or cold. Extreme reaction to or rituals involving taste, smelt texture, or appearance of food or excessive food restrictions are common and may be a presenting feature of autism spectrum disorder. Many adults with autism spectrum disorder without intellectual or language disabilities learn to suppress repetitive behavior in public. Special interests may be a source of pleasure and motivation and provide avenues for education and employment later in life. Diagnostic criteria may be met when restricted, repetitive patterns of behavior, interests or activities were clearly present during childhood or at some time in the past, even if symptoms are no longer present. Criterion D requires that the features must cause clinically significant impairment in social, occupational, or other important areas of current functioning. Criterion E specifies that the social communication deficits, although sometimes accompanied by intellectual disability (intellectual developmental disorder), are not in line with the individual's developmental level; impairments exceed difficulties expected on the basis of developmental level. Standardized behavioral diagnostic instruments with good psychometric properties, including caregiver interviews, questionnaires and clinician observation measures, are available and can improve reliability of diagnosis over time and across clinicians. Many individuals with autism spectrum disorder also have intellectual impairment and/ or language impairment (e.g., slow to talk, language comprehension behind production). Even those with average or high intelligence have an uneven profile of abilities. The gap between intellectual and adaptive functional skills is often large. Motor deficits are often present, including odd gait, clumsiness, and other abnormal motor signs (e.g., walking on tiptoes). Self-injury (e.g., head banging, biting the wrist) may occur, and disruptive/challenging behaviors are more common in children and adolescents with autism spectrum disorder than other disorders, including intellectual disability. Adolescents and adults with autism spectrum disorder are prone to anxiety and depression. Some individuals develop catatonic-like motor behavior (slowing and “freezing” mid-action), but these are typically not of the magnitude of a catatonic episode. However, it is possible for individuals with autism spectrum disorder to experience a marked deterioration in motor symptoms and display a full catatonic episode with symptoms such as mutism, posturing, grimacing and waxy flexibility. The risk period for comorbid catatonia appears to be greatest in the adolescent years. In recent years, reported frequencies for autism spectrum disorder across U.S. and non-U.S. countries have approached 1% of the population, with similar estimates in child and adult samples. It remains unclear whether higher rates reflect an expansion of the diagnostic criteria of DSM-IV to include subthreshold cases, increased awareness, differences in study methodology, or a true increase in the frequency of autism spectrum disorder. The age and pattern of onset also should be noted for autism spectrum disorder. Symptoms are typically recognized during the second year of life (12-24 months of age) but may be seen earlier than 12 months if developmental delays are severe, or noted later than 24 months if symptoms are more subtle. The pattern of onset description might include information about early developmental delays or any losses of social or language skills. In cases where skills have been lost, parents or caregivers may give a history of a gradual or relatively rapid deterioration in social behaviors or language skills. Typically, this would occur between 12 and 24 months of age and is distinguished from the rare instances of developmental regression occurring after at least 2 years of normal development (previously described as childhood disintegrative disorder). The behavioral features of autism spectrum disorder first become evident in early childhood, with some cases presenting a lack of interest in social interaction in the first year of life. Some children with autism spectrum disorder experience developmental plateaus or regression, with a gradual or relatively rapid deterioration in social behaviors or use of language, often during the first 2 years of life. Such losses are rare in other disorders and may be a useful “red flag” for autism spectrum disorder. Much more unusual and warranting more extensive medical investigation are losses of skills beyond social communication (e.g., loss of self-care, toileting, motor skills) or those occurring after the second birthday (see also Rett syndrome in the section "Differential Diagnosis" for this disorder). The essential features of autism spectrum disorder are persistent impairment in reciprocal social communication and social interaction, and restricted, repetitive patterns of behavior, interests, or activities. First symptoms of autism spectrum disorder frequently involve delayed language development, often accompanied by lack of social interest or unusual social interactions (e.g., pulling individuals by the hand without any attempt to look at them), odd play patterns (e.g., carrying toys around but never playing with them), and unusual communication patterns (e.g., knowing the alphabet but not responding to own name). Deafness may be suspected but is typically ruled out. During the second year, odd and repetitive behaviors and the absence of typical play become more apparent. Since many typically developing young children have strong preferences and enjoy repetition (e.g., eating the same foods, watching the same video multiple times), distinguishing restricted and repetitive behaviors that are diagnostic of autism spectrum disorder can be difficult in preschoolers. The clinical distinction is based on the type, frequency, and intensity of the behavior (e.g., a child who daily lines up objects for hours and is very distressed if any item is moved). Autism spectrum disorder is not a degenerative disorder, and it is typical for learning and compensation to continue throughout life. Symptoms are often most marked in early childhood and early school years, with developmental gains typical in later childhood in at least some areas (e.g., increased interest in social interaction). A small proportion of individuals deteriorate behaviorally during adolescence, whereas most others improve. Only a minority of individuals with autism spectrum disorder live and work independently in adulthood; those who do tend to have superior language and intellectual abilities and are able to find a niche that matches their special interests and skills. In general, individuals with lower levels of impairment may be better able to function independently. However, even these individuals may remain socially naive and vulnerable, have difficulties organizing practical demands without aid, and are prone to anxiety and depression. Many adults report using compensation strategies and coping mechanisms to mask their difficulties in public but suffer from the stress and effort of maintaining a socially acceptable facade. Scarcely anything is known about old age in autism spectrum disorder. Some individuals come for first diagnosis in adulthood, perhaps prompted by the diagnosis of autism in a child in the family or a breakdown of relations at work or home. Obtaining detailed developmental history in such cases may be difficult, and it is important to consider self-reported difficulties. Where clinical observation suggests criteria are currently met, autism spectrum disorder may be diagnosed, provided there is no evidence of good social and communication skills in childhood. For example, the report (by parents or another relative) that the individual had ordinary and sustained reciprocal friendships and good nonverbal communication skills throughout childhood would rule out a diagnosis of autism spectrum disorder; however, the absence of developmental information in itself should not do so. The best established prognostic factors for individual outcome within autism spectrum disorder are presence or absence of associated intellectual disability and language impairment (e.g., functional language by age 5 years is a good prognostic sign) and additional mental health problems. Epilepsy, as a comorbid diagnosis, is associated with greater intellectual disability and lower verbal ability. Environmental. A variety of nonspecific risk factors, such as advanced parental age, birth weight, or fetal exposure to valproate, may contribute to risk of autism spectrum disorder. Genetic And Physiological. Heritability estimates for autism spectrum disorder have ranged from 37% to higher than 90%, based on twin concordance rates. Currently, as many as 15% of cases of autism spectrum disorder appear to be associated with a known genetic mutation, with different de novo copy number variants or de novo mutations in specific genes associated with the disorder in different families. However, even when an autism spectrum disorder is associated with a known genetic mutation, it does not appear to be fully penetrant. Risk for the remainder of cases appears to be polygenic, with perhaps hundreds of genetic loci making relatively small contributions. Cultural differences will exist in norms for social interaction, nonverbal communication, and relationships, but individuals with autism spectrum disorder are markedly impaired against the norms for their cultural context. Cultural and socioeconomic factors may affect age at recognition or diagnosis; for example, in the United States, late or underdiagnosis of autism spectrum disorder among African American children may occur. Autism spectrum disorder is diagnosed four times more often in males than in females. In clinic samples, females tend to be more likely to show accompanying intellectual disability, suggesting that girls without accompanying intellectual impairments or language delays may go unrecognized, perhaps because of subtler manifestation of social and communication difficulties. Rett Syndrome. Disruption of social interaction may be observed during the regressive phase of Rett syndrome (typically between 1-4 years of age); thus, a substantial proportion of affected young girls may have a presentation that meets diagnostic criteria for autism spectrum disorder. However, after this period, most individuals with Rett syndrome improve their social communication skills, and autistic features are no longer a major area of concern. Consequently, autism spectrum disorder should be considered only when all diagnostic criteria are met. Selective Mutism. In selective mutism, early development is not typically disturbed. The affected child usually exhibits appropriate communication skills in certain contexts and settings. Even in settings where the child is mute, social reciprocity is not impaired, nor are restricted or repetitive patterns of behavior present. Language Disorders And Social (Pragmatic) Communication Disorder. In some forms of language disorder, there may be problems of communication and some secondary social difficulties. However, specific language disorder is not usually associated with abnormal nonverbal communication, nor with the presence of restricted, repetitive patterns of behavior, interests, or activities. When an individual shows impairment in social communication and social interactions but does not show restricted and repetitive behavior or interests, criteria for social (pragmatic) communication disorder, instead of autism spectrum disorder, may be met. The diagnosis of autism spectrum disorder supersedes that of social (pragmatic) communication disorder whenever the criteria for autism spectrum disorder are met, and care should be taken to enquire carefully regarding past or current restricted/ repetitive behavior. Intellectual Disability (Intellectual Developmental Disorder) Without Autism Spectrum Disorder. Intellectual disability without autism spectrum disorder may be difficult to differentiate from autism spectrum disorder in very young children. Individuals with intellectual disability who have not developed language or symbolic skills also present a challenge for differential diagnosis, since repetitive behavior often occurs in such individuals as well. A diagnosis of autism spectrum disorder in an individual with intellectual disability is appropriate when social communication and interaction are significantly impaired relative to the developmental level of the individual's nonverbal skills (e.g., fine motor skills, nonverbal problem solving). In contrast, intellectual disability is the appropriate diagnosis when there is no apparent discrepancy between the level of socialcommunicative skills and other intellectual skills. Stereotypic Movement Disorder. Motor stereotypies are among the diagnostic characteristics of autism spectrum disorder, so an additional diagnosis of stereotypic movement disorder is not given when such repetitive behaviors are better explained by the presence of autism spectrum disorder. However, when stereotypies cause self-injury and become a focus of treatment, both diagnoses may be appropriate. Attention-Deficit/Hyperactivity Disorder. Abnormalities of attention (overly focused or easily distracted) are common in individuals with autism spectrum disorder, as is hyperactivity. A diagnosis of attention-deficit / hyperactivity disorder (ADHD) should be considered when attentional difficulties or hyperactivity exceeds that typically seen in individuals of comparable mental age. Autism spectrum disorder is frequently associated with intellectual impairment and structural language disorder (i.e., an inability to comprehend and construct sentences with grammar), which should be noted under the relevant specifiers when applicable. Many individuals with autism spectrum disorder have psychiatric symptoms that do not form part of the diagnostic criteria for the disorder (about 70% of individuals with autism spectrum disorder may have one comorbid mental disorder, and 40% may have two or more mental disorders). When criteria for both ADHD and autism spectrum disorder are met, both diagnoses should be given. This same principle applies to concurrent diagnoses of autism spectrum disorder and developmental coordination disorder, anxiety disorders, depressive disorders, and other comorbid diagnoses. Among individuals who are nonverbal or have language deficits, observable signs such as changes in sleep or eating and increases in challenging behavior should trigger an evaluation for anxiety or depression. Specific learning difficulties (literacy and numeracy) are common, as is developmental coordination disorder. Medical conditions commonly associated with autism spectrum disorder should be noted under the “associated with a known medical/genetic or environmental/acquired condition” specifier. Such medical conditions include epilepsy, sleep problems, and constipation. Avoidant-restrictive food intake disorder is a fairly frequent presenting feature of autism spectrum disorder, and extreme and narrow food preferences may persist.